could be one of the most iconic phone numbers of all time, but it’s not the only number that a lot of us remember by heart. Many students have a phone number that they've shared with family, friends and contacts since junior high and are reluctant to let go. One of the most frequent requests we hear from people who use (or want to use) Google Voice is that they’d like to get all of Google Voice’s features without having to give up their long-time phone numbers. Today, we’re excited to announce that Number Porting is available for all existing Google Voice users. This means you can make the mobile number you’ve always used your Google Voice number, so it can ring any phone you want—or even your computer. To get started with Number Porting, log in to your Google Voice account, visit the Settings page and click on “Change / Port” next to your Google Voice number. Porting your number to Google Voice costs $20 and is usually completed within 24 hours. You may incur additional charges, including early termination fees, from your wireless carrier. Contact your carrier to get more details about the charges applicable to you. After porting your number to Google Voice your mobile service plan will be cancelled, and there are a couple of steps that you’ll have to take to continue making and receiving calls on your mobile device. For more detailed instructions on how Number Porting works and to find tips for making the process as smooth as possible, visit the Google Voice Help Center. Number Porting is currently available for existing Google Voice users and will become available to new users within the next few weeks, and at this time, Google Voice is available in the U.S. only. Number Porting is currently available for existing users and will become available to new users within the next few weeks. At this time, Google Voice is available in the U.S. only. 867-5309 could be one of the most iconic phone numbers of all time, but it’s not the only number that a lot of us remember by heart. Many students have a phone number that they've shared with family, friends and contacts since junior high and are reluctant to let go. The Google Anita Borg Memorial Scholarship (for female students in Europe, the Middle East and Africa) honours the life and work of Dr. Anita Borg, a computer science pioneer who dedicated her life to breaking down barriers that prevent women and minorities from entering computing and technology fields. The Google Europe Scholarship for Students with Disabilities is for Computer Science or Computer Engineering students who have shown academic strength and demonstrated a passion for their subject. This scholarship aims to encourage students with disabilities to enter computing, excel in their studies and become active role models and leaders in technology. Scholarship awardees will be invited to attend Google’s annual EMEA Scholars’ Retreat, to be held at our Engineering Headquarters in Zurich, Switzerland in June, 2011. Check out a video of our 2010 Scholars’ Retreat. To learn more about opportunities available to students and academics in Europe, the Middle East and Africa, visit www.google.com/university/emea. Planning to apply for Google’s Anita Borg Memorial Scholarship in EMEA or the Europe Scholarship for Students with Disabilities? Be sure to complete and submit your applications by the February 1st, 2011 deadline. Despite the recent devastating floods in Australia, the open source community is converging on Brisbane this week for the annual linux.conf.au (LCA). The LCA team “encourages everyone to still come to Brisbane and support local business and the community - we need your support.” Monday during the introductory session at LCA, Carol Smith, member of the Google Open Source Programs Office, proudly announced Google Summer of Code2011. Spread the word to your friends! 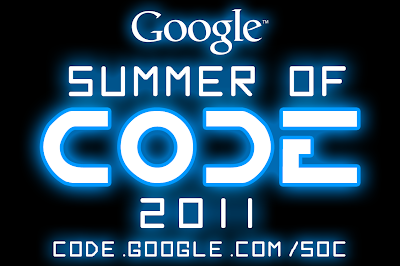 If you know of a university student that would be interested in working on open source projects this summer, or if you know of an organization that might want to mentor students to work on their open source projects, please direct them to our Google Summer of Code 2011 website, where they can find our timeline along with the FAQs. And stay tuned for more details coming soon!
) program. CS4HS is a workshop for high school and middle school computer science teachers that introduces new and exciting concepts in computing and how to best teach them. The ultimate goal is to “train the trainer,” developing a thriving community of high school CS teachers who spread the word about the awe and beauty of computing. In 2011 we’re looking to expand the program considerably, so have opened applications more widely to the public. If you’re a university, community college, or technical school in the U.S., Canada, Europe, Middle East or Africa and are interested in hosting a workshop at your institution, please visit www.cs4hs.com to submit an application for grant funding. The application page will be open between January 18, 2011 and February 18, 2011. On our revamped CS4HS website you’ll find a slew of best practices, including ideas on how to organize a workshop, effectively recruiting teachers in your area and much more. In particular, we’ve shared a collection of CS4HS curriculum modules tried and tested at previous workshops that you can use and adapt in your own program. Please stop by the CS4HS website to learn more about our program and submit an application for funding—and if you’re a student, tell your professors to apply! We hope you’re as excited about the program as we are, and we can’t wait to see your workshop ideas come to life this summer. For the fourth consecutive year, we’re funding the Computer Science for High School (CS4HS) program. CS4HS is a workshop for high school and middle school computer science teachers that introduces new and exciting concepts in computing and how to best teach them. The ultimate goal is to “train the trainer,” developing a thriving community of high school CS teachers who spread the word about the awe and beauty of computing. Today, I’m pleased to announce the launch of the fourth annual Doodle 4 Google contest. Open to K-12 students in the U.S., Doodle 4 Google is an opportunity of a lifetime: design the Google.com homepage doodle for millions to see, and while you’re at it, take home a $15,000 scholarship and a $25,000 technology grant for your school. In the spirit of thinking big, our theme this year is “What I’d like to do someday...” — giving all of the talented young dreamers an opportunity to flex their creative muscles. We know this crop of students will be the generation of tomorrow’s leaders and inventors, and we can’t wait to see what they come up with. While most of this year's contest remains the same, we’ve made some exciting changes based on your feedback. Now, parents or guardians can register their students directly, and if a school registers, there’s no limit on the number of doodles they can submit. But remember, we only allow one entry per student. We’re also pleased to partner with Boys & Girls Clubs of America and Girl Scouts of the USA, two organizations that truly bring this year’s theme to life. Once you’ve registered your students and they submit their artwork, Google employees and our panel of guest judges, including Whoopi Goldberg, gold medal ice skater Evan Lysacek and “Garfield” creator Jim Davis, will narrow down the submissions. The top 40 regional finalists will not only receive a trip to New York City and a visit from Google in their hometown, but their artwork will be featured in a special exhibition in partnership with the Whitney Museum of American Art. For more details, check out google.com/doodle4google, including full contest rules. To get started, whether you’re a teacher or a parent, register your student(s) by March 2, 2011. Then get out the crayons, paints and markers—you can even throw your own doodle party. Please note that all entries must be postmarked by March 16, 2011. Google TV has been popping up on college campuses across the country. We’re coordinating with the Google Student Ambassador Program and University Programs to share Google TV with students and faculty. This initiative began last semester when Google Student Ambassadors hosted Google TV study breaks on over thirty campuses. The ambassadors had students compete to win Sony Internet TVs for their friends and school. They hosted pizza breaks, tech challenges, YouTube marathons and of course, college football viewing parties. The top seven most creative study breaks won two Sony Internet TVs to give back to their college as a reward for their school spirit and enthusiasm for Google TV. The momentum from the Google TV study breaks has carried over into the classroom. Already, the web on TV has proven itself as a great platform for for early education and reading skills with web apps like PBS Kids and Meegenius. However, professors have expressed interest in expanding these opportunities to all levels of learning. We officially launched the program yesterday to select university faculty with experience and leadership in television. These select faculty will receive a Logitech Revue to carry out their research in the classroom. Over the next few months we’ll be posting outcomes of their research as well as information on new educational web-apps. Introducing the Google Science Fair! Are you a 13-18 year old who loves science? If you are or know someone who is, you’ll be psyched to know that Google is announcing the first ever global online science competition, the Google Science Fair, tomorrow, Tuesday January 11th. To celebrate our launch, we’re hosting a live event on youtube.com/googlesciencefair tomorrow, on January 11th at 9am EST. Tune in to get details about how you can submit your own project online and be inspired by some famous scientists so you'll be ready to prove you're the next Albert Einstein, Marie Curie or Dean Kamen. What do you want to hear about in 2011? As you get back into the swing of school again after what we hope was a nice and restful holiday break, we'd love to know what you want to see from this blog in 2011. We enjoyed sharing all kinds of product launches, program announcements, and fun news with you guys last year and now we want to know what you hope to see done differently for next year. So please let us know what would help you get the most out of the Google for Students blog by leaving a comment on this post. Thanks for reading in 2010 and here's to more good things to come this year and beyond!